David Bowie’s music, lyrics and album sales will be transformed for a unique tribute to the global icon. Conceived by Plymouth University composer Dr Alexis Kirke and electronic music pioneer Martyn Ware, the Career Sonification of David Bowie will be played to audiences at the Port Eliot Festival this summer. It will be one of many tributes to the global superstar, who died in January this year, and echoes the superstar’s own use of technology in his music. Kirke and Ware – a founding member of Heaven 17 and the Human League – first joined forces on this project in 2013, when they produced a version which premiered as part of the David Bowie Is exhibition at the Victoria and Albert Museum in London. But while that version included albums recorded up until the end of the 1980s, the performance at Port Eliot will feature more recent recordings including Blackstar, which was released just two days before Bowie’s death. During a career spanning 50 years, Bowie released 27 studio albums, nine live albums, 49 compilation albums and six EPs. Nine of those albums reached number one in charts across the world, while he also won 25 global accolades, including 11 NME Awards and 4 BRIT Awards, as well as receiving a Grammy Lifetime Achievement Award in 2006. 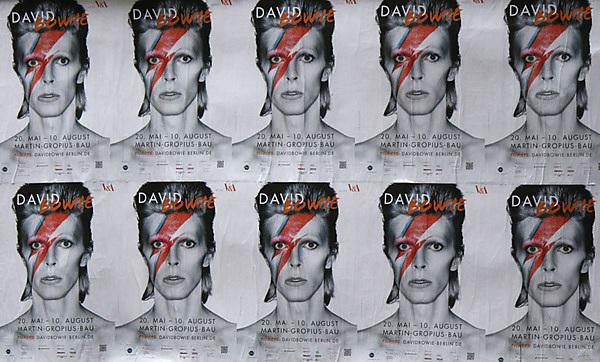 The sonification of his work is based on a statistical analysis of areas such as the emotional content of Bowie’s lyrics and the prominence of major and minor keys in his songs. It also factors in other elements including Bowie’s album sales, which were estimated at over 140 million at the time of his death. The resulting data is then mapped onto musical features such as tempo, pitch and loudness and turned into new compositions, in an effort the make the progressions of Bowie’s artistic mood and commercial impact more understandable. Plymouth University is the official Creative and Cultural Partner of the Port Eliot Festival, taking place in South East Cornwall from July 28 to 31, 2016. And this performance will be one of a number of showcases of University talent and expertise as part of the first Port Eliot Science Lab. Being staged in the Round Room at Port Eliot, it will give festival goers the chance to explore science, see performances and take part in a range of experiments.